If you would like to make an appointment please telephone or call into one of our practices and we will be pleased to arrange a convenient time for you. We offer the full compliment of NHS and private treatments to all our patients and have practices across Sandwell and Walsall allowing us to see all patients without unreasonable delay. Early morning, late evening and weekend appointments are available for all patients meaning we can help make your attendance as convenient as possible. The interval between check-ups will depend on how healthy your mouth, teeth and gums are at different times of your life. This will change with changes in your general health or lifestyle, and your risk of future problems. The time until your next check up could be as short as three months or as long as two years and is all dependent on your level of risk. Our dentists will discuss this with you along with any other queries you may have as regards your care, treatment options and costs. If you have problems inbetween planned check-ups, please contact us so that we can arrange for an earlier appointment to be made for you. We know that attending the dentist may not always be a welcomed experience and this is why we set out to try and make the experience as pleasant and accommodating as possible. This is why our practices have disabled access and offer early morning, late evening and weekend appointments as well as same day emergency appointments to assist you. The staff at Dental-Clinique are passionate about providing patients with a quality service and use the latest equipment and techniques available to help make the level of care they provide as effective as possible. For dental emergencies please contact the practice where our staff will be able to assess your needs and arrange for an appropriate appointment to be made for you. If the practice is closed an answer machine message will provide further information on how to acccess emergency care. If you require urgent assistance outside of normal practice hours please call the NHS 111 Service Direct on 111. 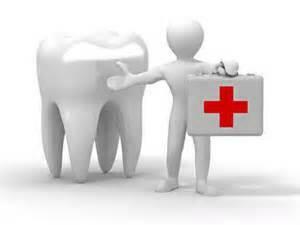 A triage nurse will assess your needs and offer advice or make arrangements where necessary for you to see a dentist.